In February Amazon acquired Ring, a popular video doorbell provider, for $1 billion. Recently, they announced their new Ring Alarm home security monitoring system. The Ring Alarm is a do-it-yourself and self-installation product. 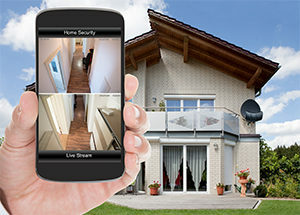 In a press release, Jamie Siminoff, the Chief Inventor and Founder of Ring, said that the device allows anyone to customize a comprehensive home security system that best suits their needs to maximize their security. Ring Alarm will be available at a disruptive $10/month price point without hidden fees through a subscription plan called the Ring Protect Plus Plan. The presale Ring Alarm system price is $199 and will begin shipping on July 4th.